Since 2015, Facebook has been certified to authenticate digital professionals. 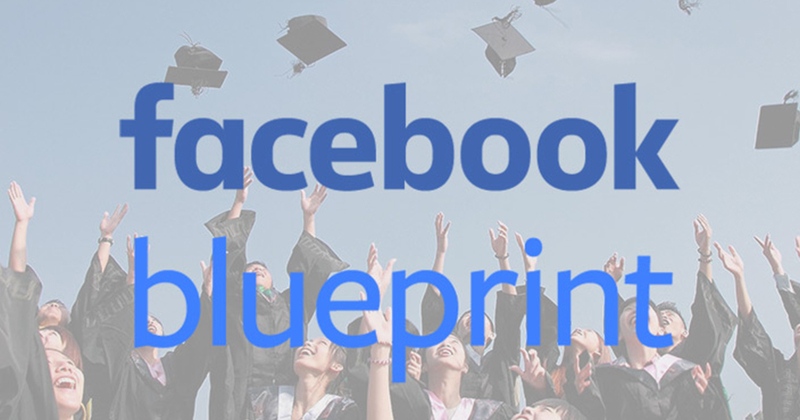 This certification is called BluePrint Facebook. Thanks to this accreditation, Facebook is able to recognize you as a Facebook Social Ads professional. The social network focuses on ad buying coaching with free training sessions, combined with ad management, targeting, campaign optimization and performance measurement. Very often novice community managers take the necessary steps to benefit from these certifications to begin their careers. For this it is necessary to have a minimum score at one of the two proposed certifications: Planning and Purchasing. The first certification is "Professional certified Facebook mention Planning", it certifies expertise in the management of Facebook pages, advertisements, in reading audience statistics. The second is "Certified Facebook Buy Professional", which approves expertise in Facebook buying and advertising. It concerns many points such as, the selection of the advertising objectives, the creation and purchase of ads. But also the use of pixel and SDK. These two certifications require the passing of two examinations for each of them. For Planning, you must pass the 310-101 Core Competency Examination in Facebook Advertising and the 322-101 exam that certifies the Facebook Professional Planning. The validation of its examinations requires results higher than 700/1000. Targeted audiences to maximize impact. Implementation of planning and recommendations. Implementation of advertising and communication strategy. Concerning the mention Purchase, there again it is necessary to validate the two examinations with a minimum of 700 points for each of them. Improved performance and distribution through advertising auctions. Creation, purchase and management of Facebook ads. The disadvantage of these examinations is that they are a cost. In fact, switching to one of these modules will cost you about US$150. These fees may vary during the payment process which varies depending on your country. Nevertheless, you will be able to enjoy the quality of the training free of charge and enjoy the mock exam also free of charge. An opportunity to test your knowledge in real conditions. As for the teaching modules, they are really well constructed and consist of several lessons accompanied by concrete examples. The level is high and is clearly aimed at marketers who want to make the most of the platform. Once you have validated and received your Blueprint certification, it is only valid for 12 months. If you want to preserve it, you will have to repeat the operation each year and therefore necessarily go to the cash register again. Clearly this Facebook accreditation program is for digital advertising professionals who wish to enhance their skills and enhance their resume for potential job opportunities. Or only improve your knowledge through quality teaching. So if you are in one of these situations, we strongly advise you to use it to distinguish yourself.